Although your teeth are designed to last a lifetime, several factors, such as trauma, tooth decay, and gum disease, can cause you to lose teeth. If you do not replace missing teeth, you will quickly lose confidence from an incomplete smile. However, your quality and enjoyment for life are not the only areas to suffer. You can develop oral and overall health complications, like additional tooth loss and nutritional deficiencies. To regain a complete, healthy smile, there are several types of dentures available. Dentures are an affordable, convenient, and effective means to treat tooth loss. At Laith Family Dentistry, we offer dentures in 78254 to give you a confident, healthy smile. 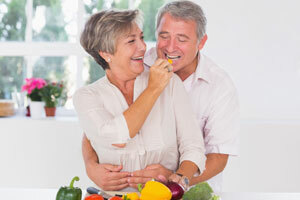 Various advancements in dentistry now allow dentures to look and feel more natural than ever. 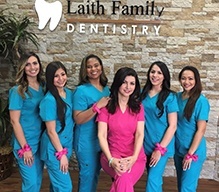 At Laith Family Dentistry, we embrace the latest advancements to provide you with a high-quality, comfortable solution to replace your missing teeth. No matter if you need full dentures or partial dentures, we will help you regain a complete smile. 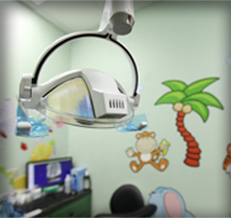 During your initial consultation, we will examine your mouth using a visual examination and imaging equipment to gain a complete insight into your dental health. After performing our examination, we will determine which type of denture will best meet your needs, such as a traditional full or partial denture, as well as implant supported dentures. We will take the time to discuss your options and address your concerns to ensure you choose the best solution to meet your individual needs. After a comprehensive treatment plan is created, we will begin the process to restore your smile. 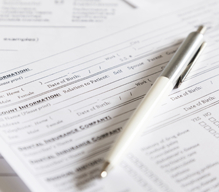 In some cases, you may need additional procedures prior to beginning the process. For example, you may need tooth extractions of damaged teeth or bone grafting for implant supported dentures. If you have chosen to benefit from a more traditional option, like a full or partial denture, we will use impressions to create a customized set of replacement teeth. While your new smile is being crafted, we will provide you with temporary dentures. After your new dental prosthetics are ready, we will ensure they fit snuggly and function as intended. 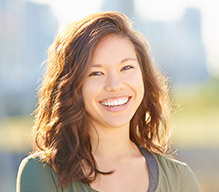 Although it may take some time in the beginning to become accustom to the replacement teeth, you will enjoy their function and appearance in a short period of time. If you choose to benefit from an implant supported denture, we will create a customized treatment plan to begin restoring your smile. Your treatment will consist of a multi-phased treatment. You will gain a lifelong solution with an option that closely mimics the appearance and function of natural teeth. 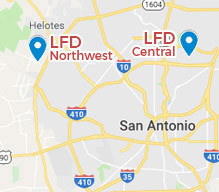 If you are ready to regain a confident, healthy smile with dentures, it is time to schedule your consultation with your dentist in San Antonio. 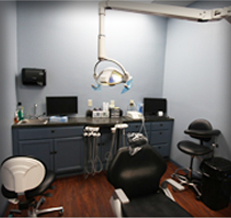 Our team at Laith Family Dentistry offers a state-of-the-art dental office to ensure efficiency and comfort. We will develop the exact treatment plan you need to successful replace missing teeth. We look forward to helping you regain a healthy, complete smile with dentures.